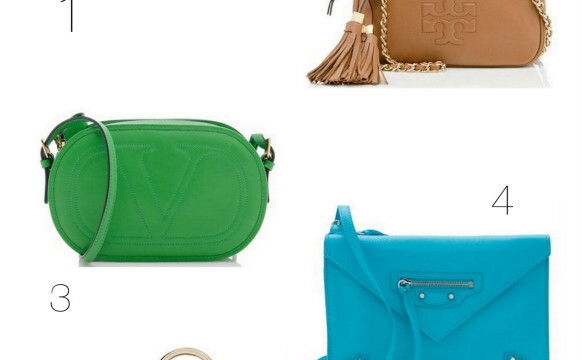 More than anything else, I love a big, bold daytime bag. Something distinctive yet fully functional. Of course, I adore a beautiful, stylish, little clutch as much as the next girl, but let’s get real… bigger is better! As a blogger, on any given day I’m carrying around: my camera gear, a laptop, great accessories for a quick outfit swap, and all of that before even the iPhone, makeup and wallet make it in. It’s a haul! That’s why I love a bag that can handle it all and keep me every bit the stylish gal on-the-go. I’ve had my eye on this stunning Valentino Rockstud Reversible Tote for ages and I couldn’t wait to borrow it and test its functionality. The fact that it’s reversible is such a bonus. 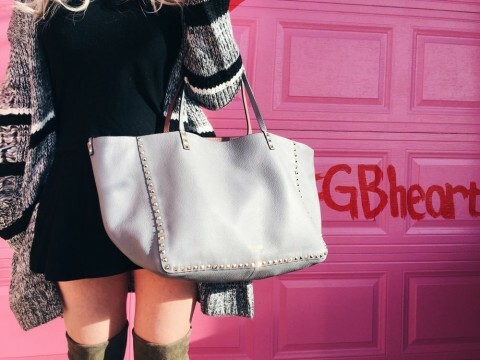 You’re truly getting two bags in one – a stunning mauve on one side and wintry grey on the other! With the “cool girl” signature Valentino gold studs on both sides, the style is unmistakably edgy, yet fully feminine. If you can’t tell, I’m obsessed! 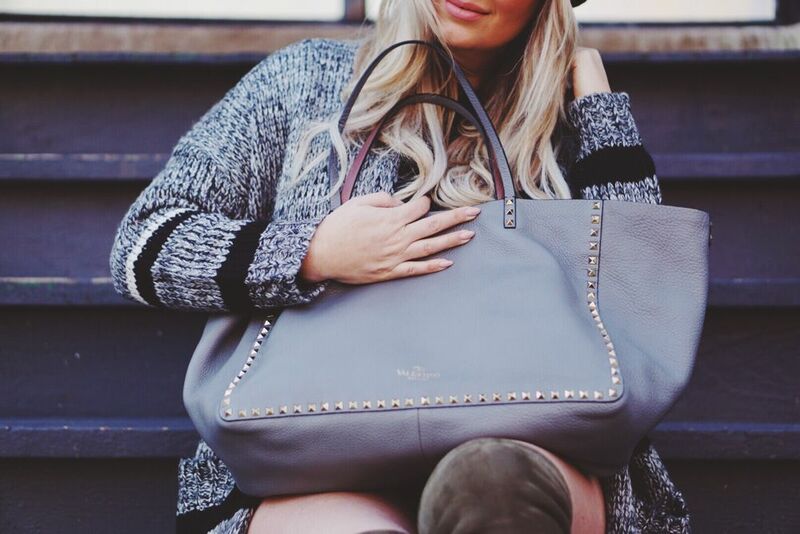 This tote paired incredibly well with my chunky knits and dresses as well as jeans and boots. Pretty much everywhere I went, the compliments followed. 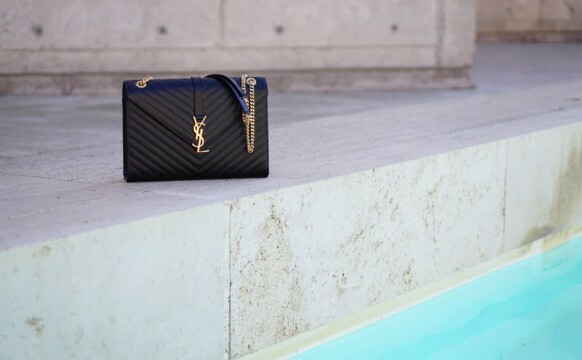 I’ve never worn a bag as frequently commented on as this one… it’s quite the little showstopper! I’m such a fan of the rockstud look and the way this piece adds just the right amount of funk and flair to any outfit.